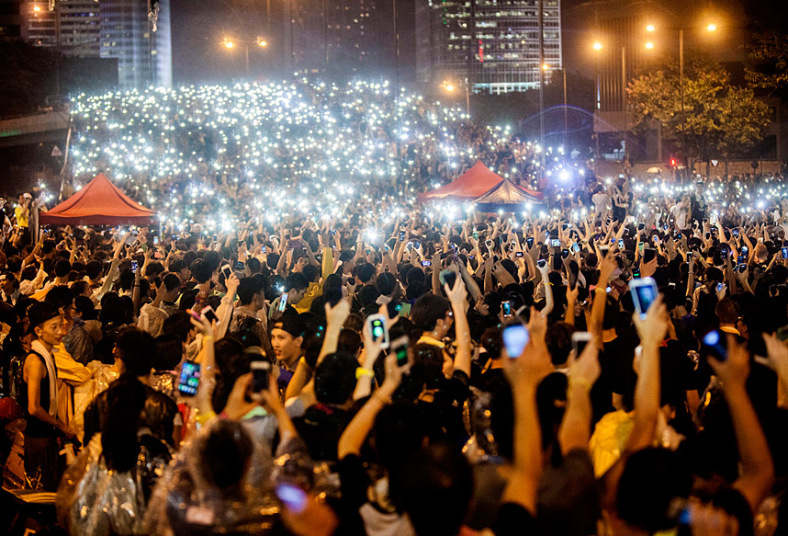 DEMOCRACY protestors brought China’s most international city to a standstill at the beginning of October. 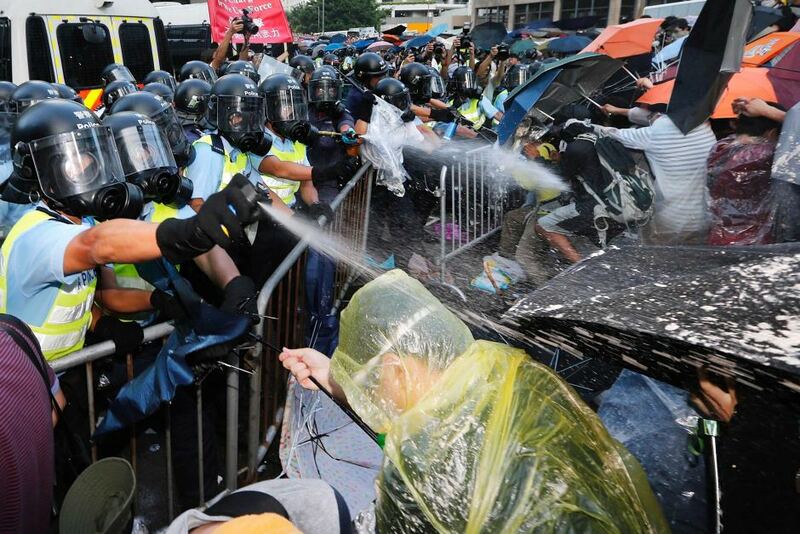 The movement in Hong Kong was empowered at home and abroad by images of unsmiling authority tear-gassing and pepper-spraying peaceful demonstrations outside government buildings. Tens of thousands lined central districts, demanding the right to choose their own candidates for the 2017 Chief Executive elections. At present, candidates must be selected by a pro-Communist Party mechanism. Effectively, Hong Kongers can only vote for those pre-approved by Beijing. This, the protestors argue, is merely the illusion of freedom. The heavy handed crackdown by police drew the eyes of the world and compelled thousands more to flood the streets in anger and solidarity. 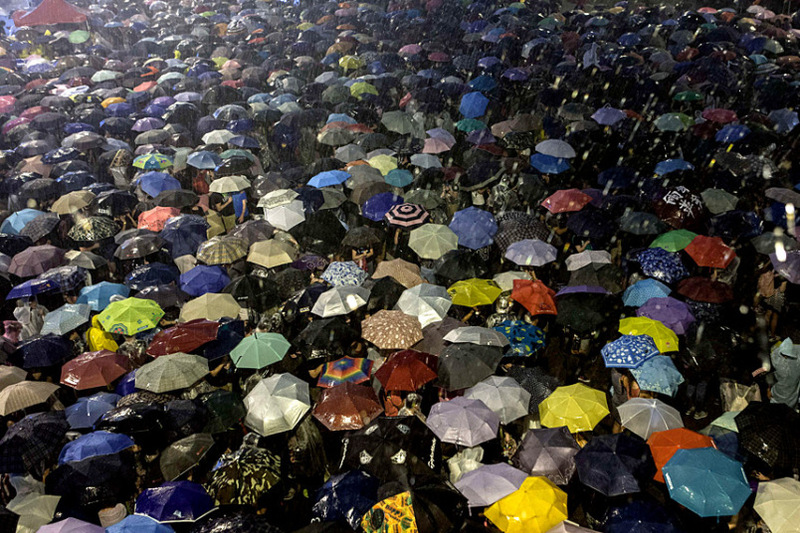 The democratic push was symbolised by Hong Kongers using umbrella’s and goggles to protect against teargas, yellow ribbons, and effigies of current Chief Executive Leung Chun-Ying depicted as Beijing’s puppet demon. And, as night fell and with mobile phones held high, thousands of bright lights embroidered the streets, vivid against the cold navy sky. Hong Kong has an independent judiciary, the rule of law, freedom of information and movement and a press that’s largely free from Communist Party censors. Full political freedom seems a natural extension of these privileges and the educated class of Hong Kong are very aware of that. With protests lasting well into the second week, public opinion started to turn. Stores and businesses lost up to 50% in sales during the first week of October according to the Hong Kong Retail Management Association. Furthermore, the value of the Hong Kong Stock Exchange plummeted and many residents couldn’t get to work or shops, leading to discontent with protestors. It has been widely reported that China ‘reneged’ on its promise of full suffrage for the 2017 elections. But, reading article 45 of Hong Kong Basic Law, it’s clear that Beijing had all along carefully reserved the right to appoint candidates by committee. The issue here is the “broadly representative” part; in reality the committee is overwhelmingly pro-Beijing and filled with entrenched interests. The Chinese Communist Party (CPC) has held complete power in China since 1949. Hong Kong’s push for full democracy represents a very real challenge to their authority, and will whet the appetites of places like Tibet and Taiwan, who have longed for more independence from Beijing. It’s the democratic precedent that this movement could set which worries China. A blood stained suppression à la Tiananmen is very unlikely for future protests given the international opprobrium, condemnation and sanctions that followed, though not impossible as the Communist Party does value self-preservation and staying in power above all else. They’ve been accused of using proxies for violence on their behalf, such as members of Triad gangs, as was alleged when protestors were attacked in the Mong Kok district a week into the protests. Now, with protests faded, civic life resuming, and negotiation talks set to take place, the road ahead is distinctly opaque. Full “one man, one vote” democracy is unlikely and, if it comes at all, is years off yet. This mass ‘civil disobedience’ campaign has illustrated just how strongly a generation of Hong Kongers feel about running their own affairs. Posted in Features and tagged china, democracy, hong kong, occupy central, umbrella revolution. Bookmark the permalink.